It's nice to re-visit patterns. I've been making my way through my pattern book and hope to make some more. I also spotted little amendments to make so will upload updated versions of patterns where necessary. I quite like that slightly messy look. although I realised when I got to the end that I'd forgotten to make one! Oh, and I got a name for it now! I think I will have a little draw... what do you think? to win a copy of Qanik. ... that's if you fancy making it of course! Draw to be made very soon! 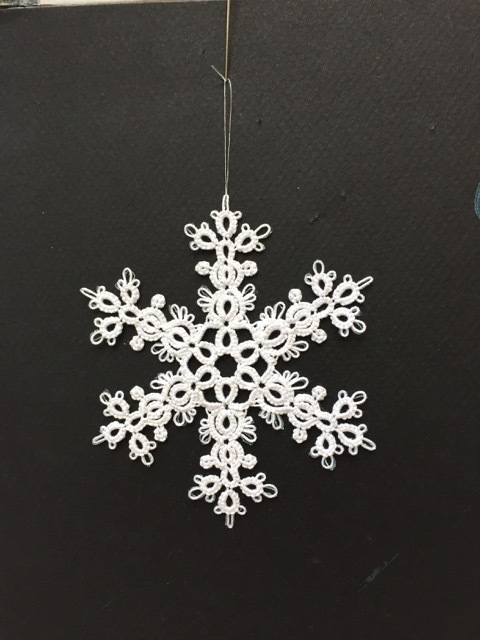 Are you guys busy making snowflakes too? It's that time of year, isn't it. Your Céleste snowflake is beautiful! Even with a missing long picot it is just lovely. Thank you for sharing your work with us. They are beautiful! 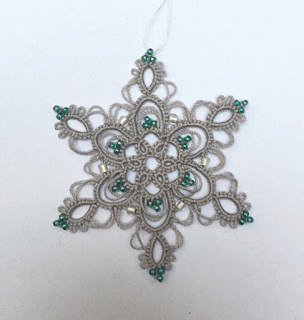 I'd love to win the pattern - I can see my front window adorned with a flurry of them! All beautiful as all of your patterns!!! I love the name. You outdid yourself on this one. It's gorgeous! Beautiful as new fallen snow! I like it! Of course! Count me in please. 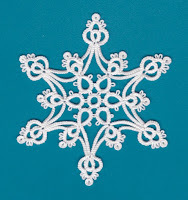 A fresh snow fall of snowflakes, I love them all but your new snowflake is definately a winner. Es sind alles wunderschöne Schneeflocken. Bei Celeste 2 auf der linken Seite fehlt das lange Pikot. Stimmt es so? Qanik ist mein Faforit. Love your snowflakes! Sure would love to tat them, thank you! 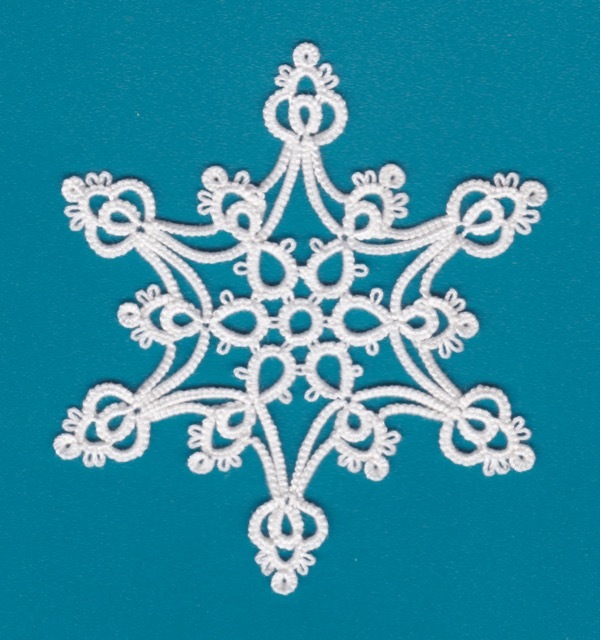 your snowflakes are so lovely and perfect gifts for the snowlovers in my life. Thank you for sharing your awesome talents! They're beautiful! 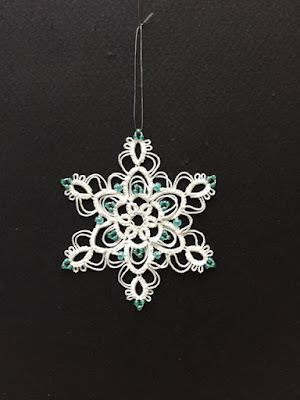 Yes, I'm going to be making a bunch of tiny snowflakes, and I think I'm planning to use one of your patterns, Twinkle Twinkle with the pointy chains, if I can figure out how to do a SCMR. Taking a break from snowflakes for now, but will definitely tat this one when it is ready! 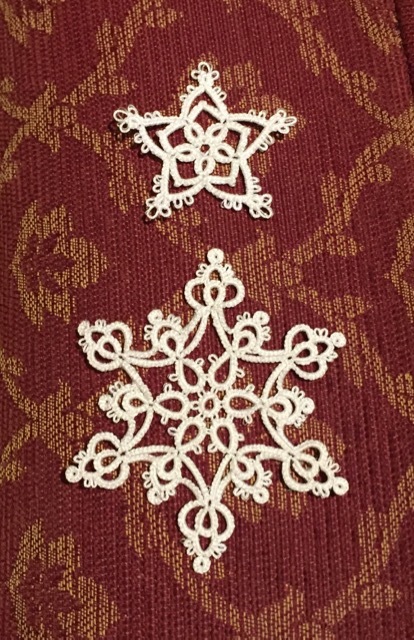 I am currently working on Robin snowflake set. This lovely pattern would make a nice addition. 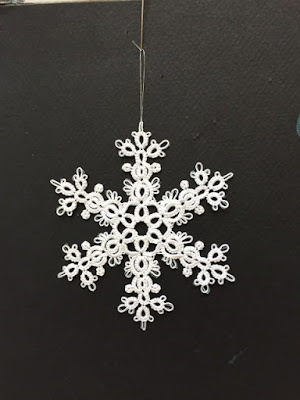 Love your snowflake patterns! Must tat some for our Christmas tree :). I never tire of tatting your snowflakes. As always, another fantastic snowflake! I've been checking your blog often to see this year's version. Thank you for so many lovely patterns with such attention to detail in each. 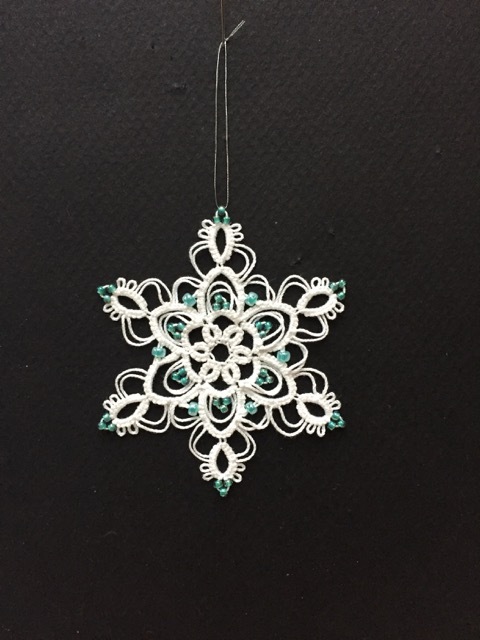 I love all your snowflake designs... and Quanik is another lovely flake! Get the exclusive range of different types of flowers to Kanpur. Give online order for flowers any time. We are always available to fulfill your requirement for fresh flowers.